A week of vibrant, real and deeply practical multi-faith spirituality with the Swamis at Skanda Vale Ashram. The Skanda Vale Easter Retreat is a chance to ask questions and share your enthusiasm and life experience with like-minded people. 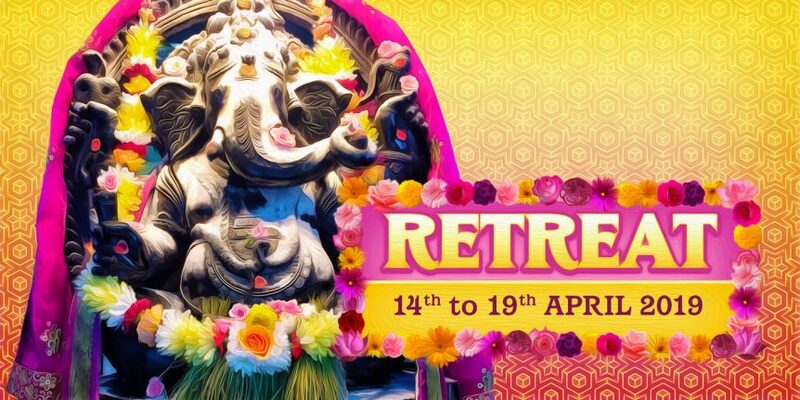 We’re offering a rich mix of teachings, discussion, kirtan, temple pujas, workshops and karma yoga – including simple community focussed activities in our woodlands. Great for newcomers and seasoned yogis alike! Starts at 5.30pm on Sunday 14th April. Ends at 5.30pm on Friday 19th April. Families and children are very welcome – we have some fun creative activities planned for kids. How to set up and maintain your shrine at home. How to perform a simple but powerful home puja. Training in prayer, mantra, contemplation and mindful living. Free accommodation is available in Skanda Vale for the duration of the retreat. Ensuite accommodation is available to elders, those with mobility issues, or families with young children. Accommodation is in high demand, so it may be necessary for you to share a room with other devotees of the same gender. Blessed vegetarian food, or prasadam, is available for breakfast, lunch and dinner each day. Meals typically include rice, dahl, salad and a simple vegetable curry. If you’d like to come, then you must be sure that you are able to attend the full retreat from Sunday to Friday. It is disruptive to the group dynamic if people arrive late or leave early, so if you can’t attend the full program, please don’t order a ticket. Parents remain responsible for their children – we have activities available for kids so they are included, but we can’t offer a child care service. There is no charge for anything – accommodation, food or teachings. We reluctantly have to take a £75 fully refundable deposit to discourage people from booking but not turning up. If you attend the full programme then £75 will be refunded to your account on 20th April. We’ll absorb the Eventbrite booking fees on your behalf. We have a few places available for people who find it difficult to afford the deposit. Please email: [email protected] for restricted income places. Please join our waiting list if no tickets are available. We will contact you if more places become free.